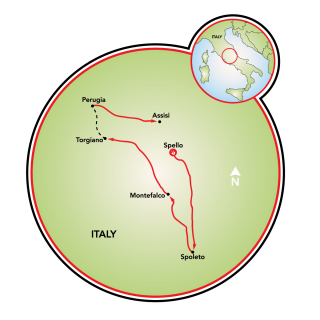 This bike tour in Italy runs through the green heart of the country (or il cuor verde d'Italia), which is what Umbria is frequently called. Biking in Umbria is perfect for those looking to personally experience this unique and unspoiled region with its endless beauty, unparalleled hospitality and just the right combination of art, nature and culture. As one of Italy's smallest regions, Umbria has long been a secret well kept. 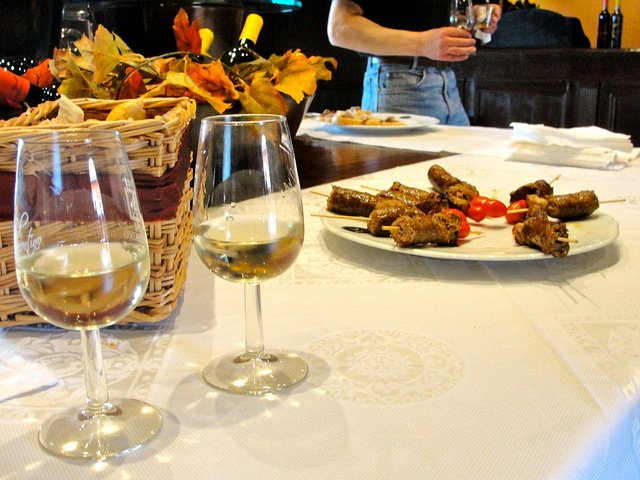 And what makes this tour unique is that you will also experience all of the region's gastronomic delights! A few days are dedicated to cycling in Umbria along it's beautiful countryside, and meanwhile tasting the local wines, cheeses, and other tasty delicacies. Other days you can join some walking tours around town. You will also be surprised with a cooking class! This cycle tour mixes adventure and culture in a unique way, thanks to this perfect combination of cycling in the natural environment, exploring around culturally interesting towns and discovering the excellent wines and gastronomic traditions of the area. Interested in something else? 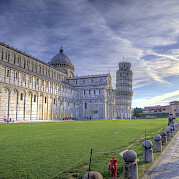 Check out our entire listing of bicycle tours in Italy. Extra nights available upon request. Take a bus or taxi from the airport to Roma Tiburtina train station for a train to Spello, 1 hr 45 mins. Always check local conditions prior to departure. 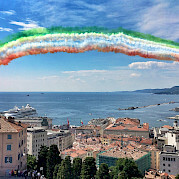 Average high/low temperature in °F for Perugia is: 62/47º for April, 69/53 May, 77/59 º June, 83/64 July, 83/64º August, 76/60º September, 65/52º October and 54/44º for November. Very nice 3 and 4 star hotels, with breakfast included. 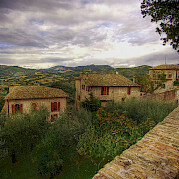 Upgrade to 4 * is possible in Assisi. GPS tracks (must be requested at least 10 days prior to tour). We suggest downloading maps.me. 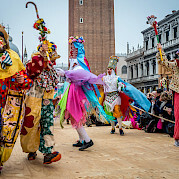 Arrivals possible any day except Monday, year round, excluding (Italian) holidays and for the duration of the Spoleto Festival. This morning you still have time to visit Spoleto, because the ride of today is short. 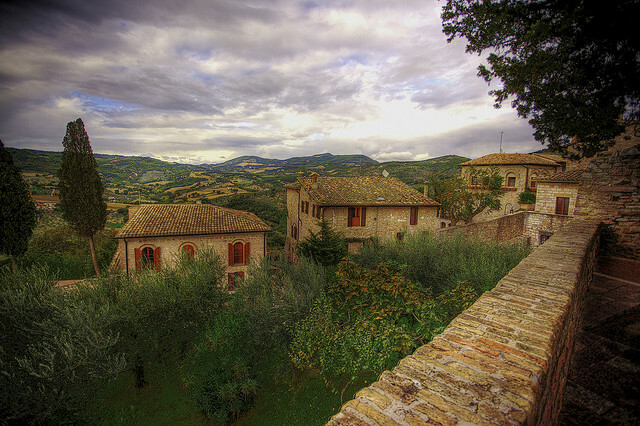 You cycle through an undulating landscape to San Luca, a village at the foot of Montefalco. This morning a loop route brings you to the lovely town of Montefalco It is a short ride but you have to conquer the hill on which the town is built. 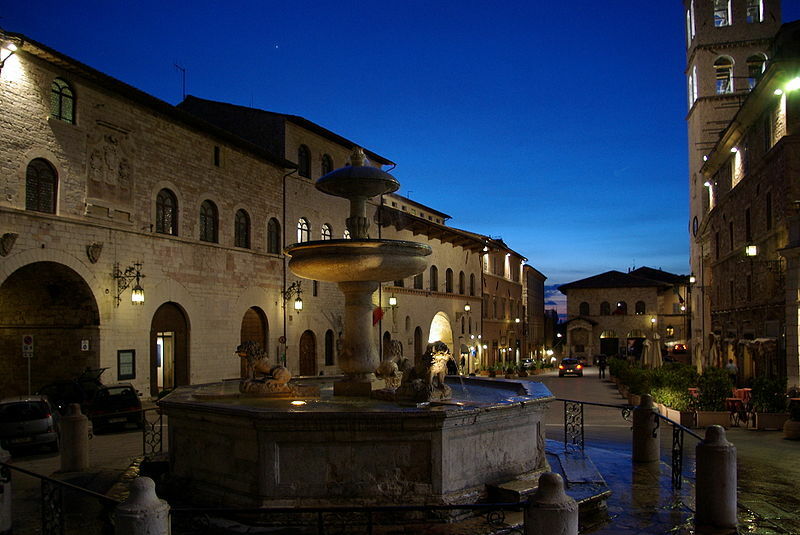 Montefalco is famous for its Sagrantino docg wines and in the medieval town center there are some nice churches and the museum ‘San Francesco’ to visit. A nice downhill ride brings you back to your hotel. 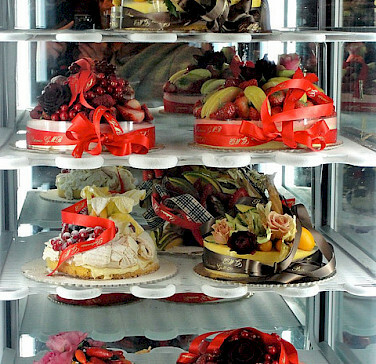 In the afternoon you will have a cookery lesson with Lorenza Zuccari. The cooking class starts at 4:30 p.m and takes about 3 hours. 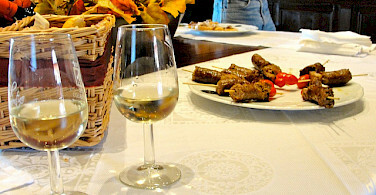 During the class, you learn to prepare a multi-course Umbrian meal. 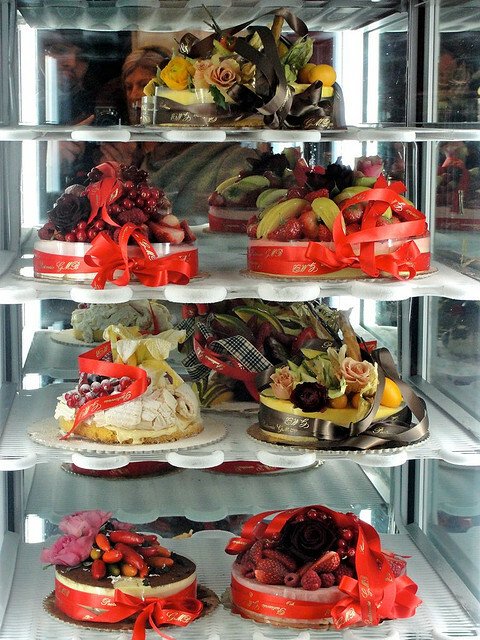 The Umbrian cuisine is incredibly rich, varied, and tasty. Recipes vary according to the season, utilizing only the freshest ingredients available and providing you with a deeply individual Italian experience. *On some occasions the cookery lesson can be in the morning followed by a lunch. 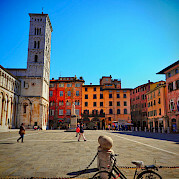 After breakfast you cycle to Bevagna, which has a lovely medieval square with a fountain and two Romanesque churches. The square is a real meeting place for the friendly inhabitants of the town. After visiting Bevagna, a short ride will lead you to the small town of Torgiano. In medieval times it was a fortified village, situated on the confluence of the rivers Chiascio and Tiber (Tevere). The town is famous for its excellent wines. You have enough time to visit the nice wine museum with its rich collection of ceramics and art (subject wine making) from Etruscan till modern times. In the afternoon at the winery of the Lungarotti family, you will visit the winery and taste their excellent Torgiano wines. Your hotel is in the quiet town center. 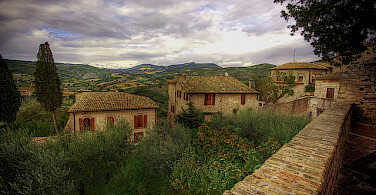 Perugia is the capital of the province. A short cycle tour takes you to the station in Ponte S.Giovanni at the foot of Perugia. 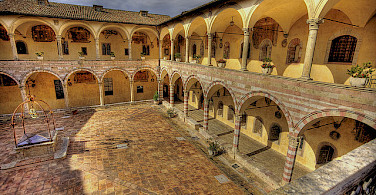 From here, a local train will take you into the historical center of Perugia. You can also choose to cycle the entire distance which only adds a few more kilometers. The center, with its little alleys and characteristic town squares, is a lively and vibrant place. 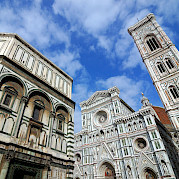 The renaissance palaces, medieval churches, museums, and many galleries will make a lasting impression. 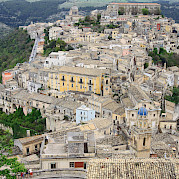 After your visit, return by train and bike back to the peaceful, hospitable town of Torgiano. Close to Torgiano (6 km) is the village of Deruta which has, in part, managed to retain the highly distinctive features of its medieval buildings. Deruta is universally famous for its ceramics and there are many ateliers to visit. The origins of this ancient art go back as far as the Etruscan times and nowadays the many local workshops still make excellent quality ceramics. 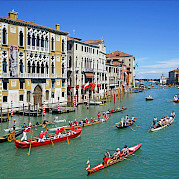 Numerous Italian and foreign museums have pieces of Deruta ceramics on show, including the Victoria and Albert Museum. The town hall hosts the art gallery and the ceramics museum. The next stop is the sanctuary of Madonna dei Bagni. Inside the church there are more then 600 votive tiles, all testimony to the tradition of the Deruta ceramics. 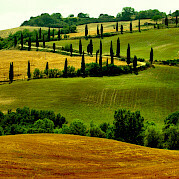 Cycling through a beautiful hilly landscape, you pass typical Umbrian hamlets like Casalalta. Cycle back to Torgiano through the Tiber valley. 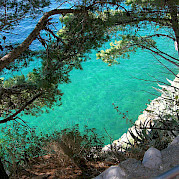 Tonight a very special dinner will await you in restaurant Si.Ro. You will taste some typical Umbrian dishes during a delicious three course dinner followed by a coffee with a grappa or another after-dinner spirit. For the lover of black truffle you can also enjoy some dishes prepared with the "Diamonds of the Kitchen." Today is a short ride in which you will cross the valley, cycling along quiet country roads. 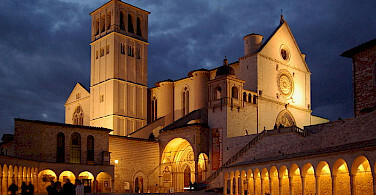 From afar, you will see Assisi, like many other Umbrian towns built on a hilltop. 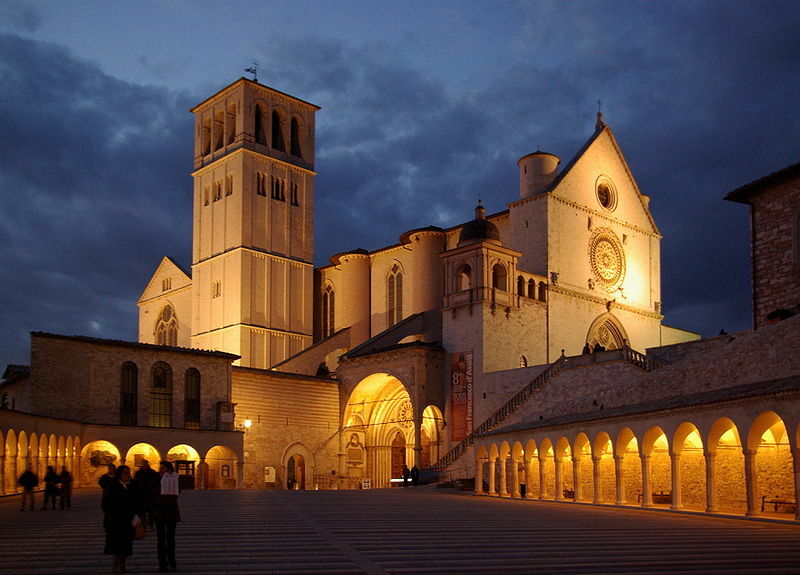 Before reaching Assisi, however, you can stop for a moment to visit the Franciscan basilica in S.Maria degli Angeli. Under its impressive dome still lies the humble little chapel ‘Porziuncola’, where Saint Francis came to pray. 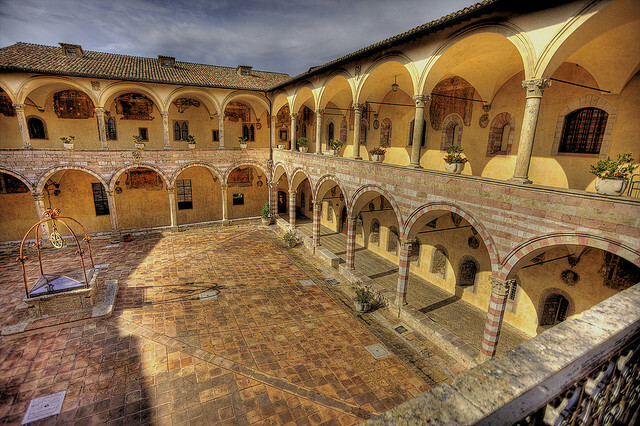 You will have enough time to visit the main monuments of the town, like the basilica of Saint Francis with its beautiful frescoes by the painters Giotto, Simone Martini, Cimabue, and Pietro Lorenzetti. This tour is run by Ecologico Tours. This trip was a last minute decision. 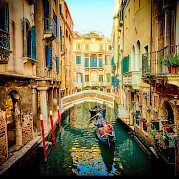 We chose an unguided trip because my wife wanted to maximize her opportunity to speak Italian and we felt comfortable since we have taken an unguided one with Tripsite before. The best part is hard to select- the dinner below Assissi that we learned to cook with the chef, Rosita, in the hotel, the couple sitting next to us at a table in Spello-the woman jumping up every few minutes to hug and kiss her boyfriend while we were eating a fantastic dinner, the sounds of Mozart's Requiem floating out of a small auditorium, sung by 15 young people while we were eating at a fantastic Pizza place in Torgiano. What else? Well, of course the local food, the local wine, the towns in the valley and on top of the hills and the incessantly changing views. We both felt it was a special vacation and we were totally relaxed. Do I have any suggestions? Not really, we are still fighting the bends raising our heads above the memories to our life back Read more… here. We'll be back.